Free online calls have now become a reality. With PopTox, you can make free international phone calls to mobile and landline numbers across the world when you are online. All you need is access to the internet. Call your loved ones for entirely free. It is a convenient way of making free internet calls. You are not required to register or make a payment. PopTox will connect your phone call from a web browser to any phone number when are online. 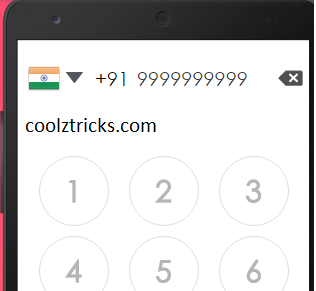 4) Dial number and click Call button. 5) Once you have clicked on call, PopTox will then process your request and make sure that your call is connected successfully. 6) You are able to see the status of your free online call and within seconds, Poptox will connect your call instantly. 7) Now enjoy free calling using Microphone. NOTE: IF YOU GET THIS ERROR “Sorry, you have reached your maximum call attempts for the day.” FOLLOW OUR UNLIMITED TRICK AND ENJOY UNLIMITED CALLS TO MOBILES. Open incognito mode in google chrome open poptox. turn off your internet and on it (to change IP address).